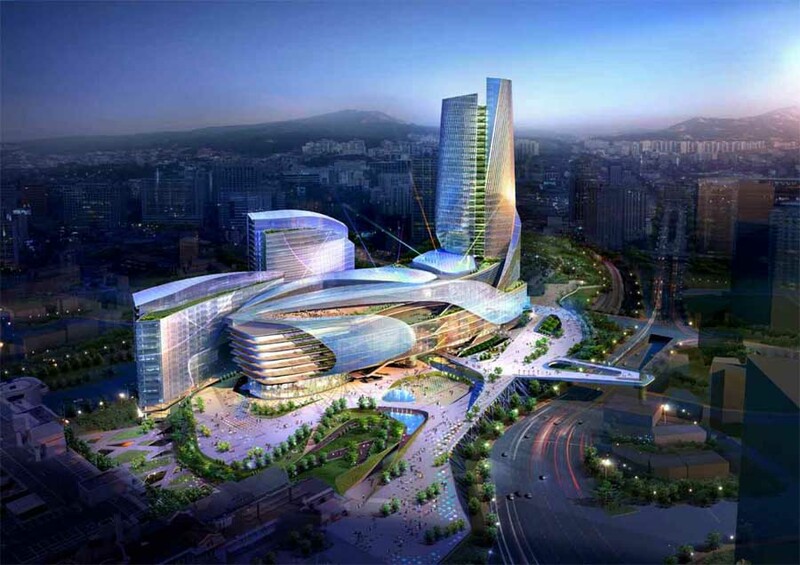 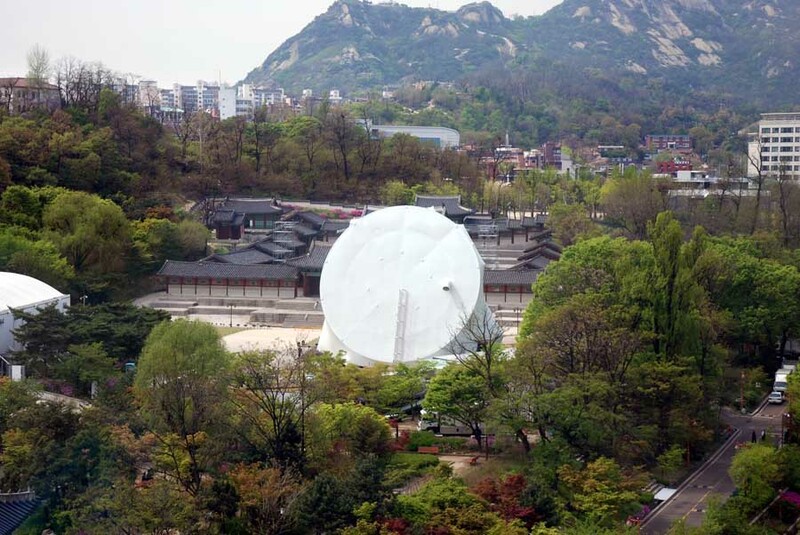 We’ve selected what we feel are the key examples of South Korean Building Designs. 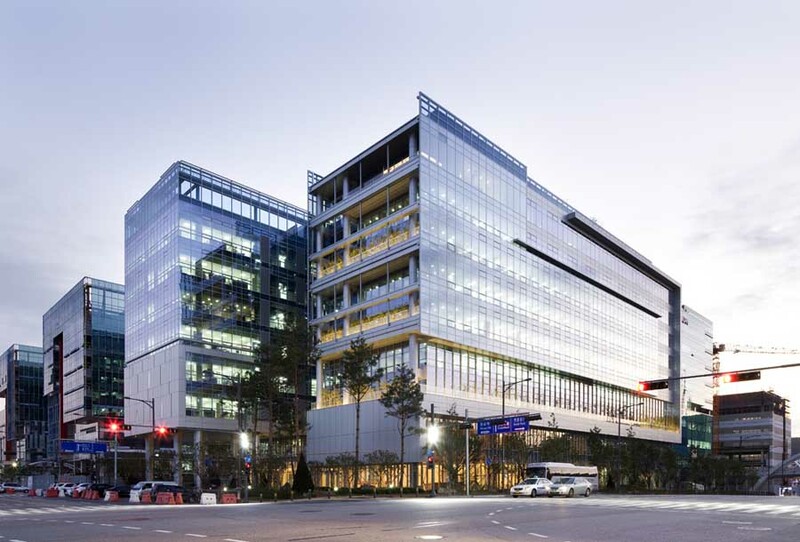 We cover completed buildings, new building designs and competitions across South Korea. 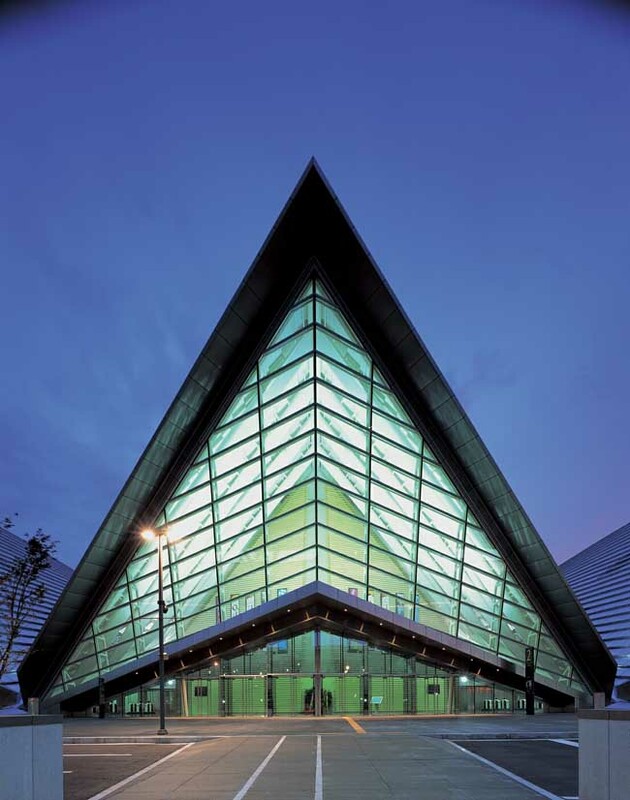 The focus is on contemporary South Korea buildings but information on traditional buildings is also welcome. 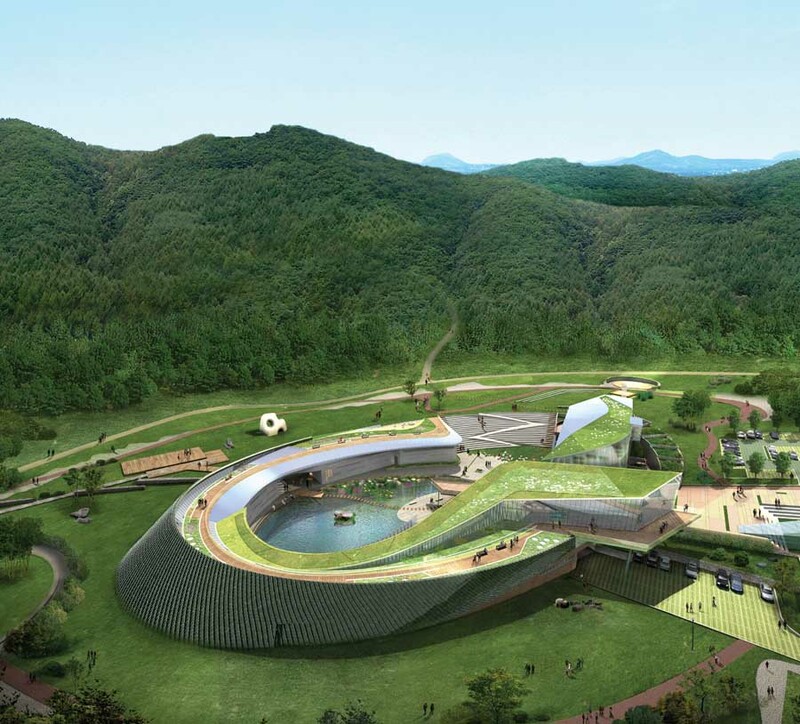 We have 4 pages of South Korean Architecture selections. 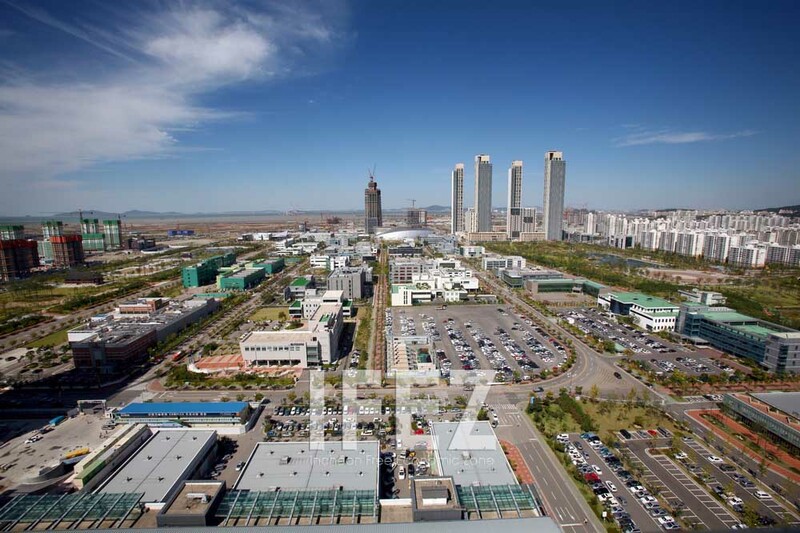 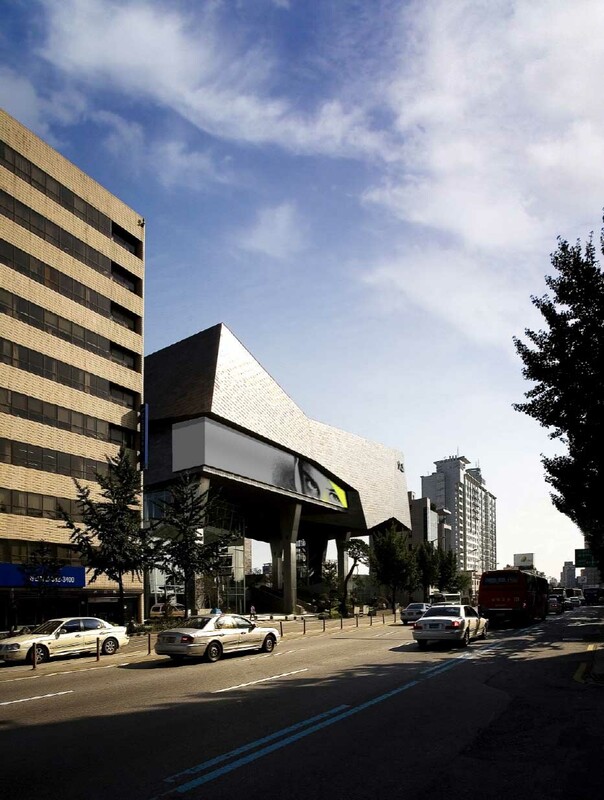 The Yellow Diamond building’s triangular site is located in one of the most dynamic, creative districts in Seoul. 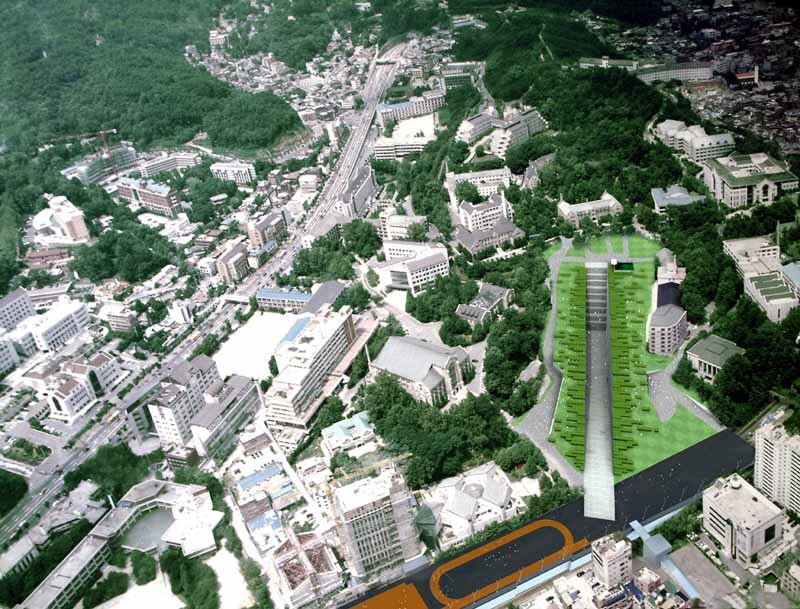 Surrounded by several universities, the area has an energy and sense that anything is possible. 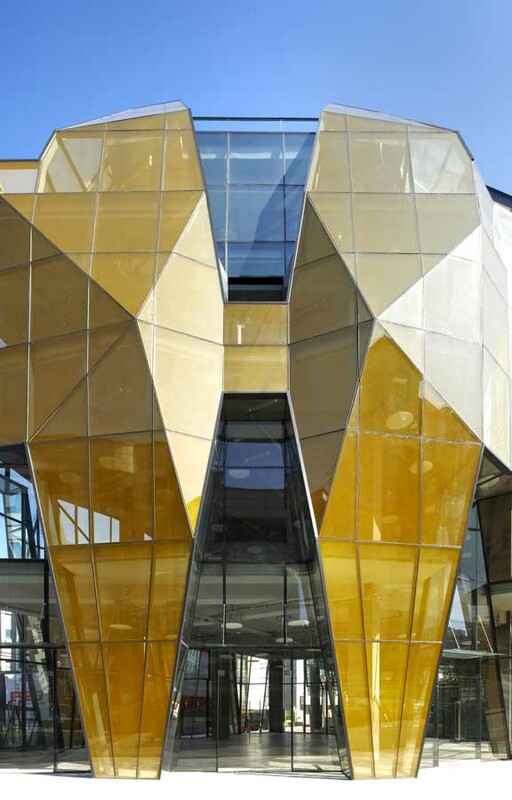 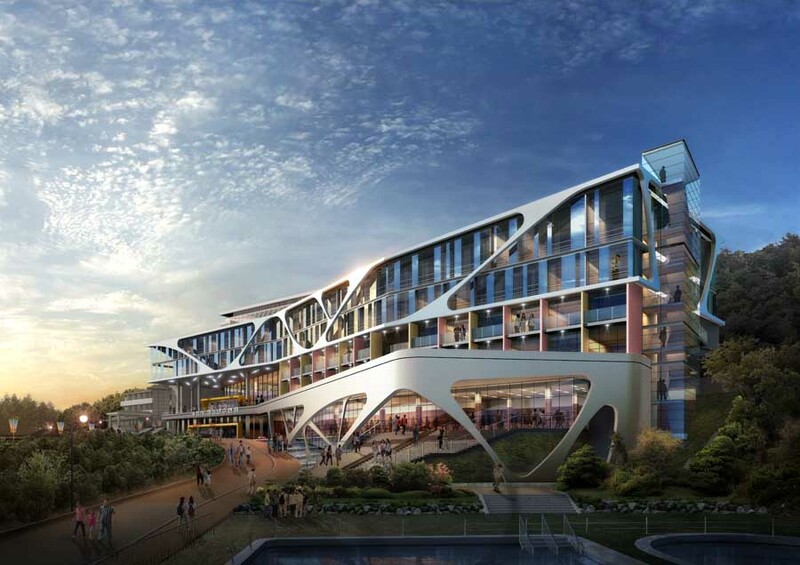 The architects felt that uninhibited artistic expression was appropriate for the site. 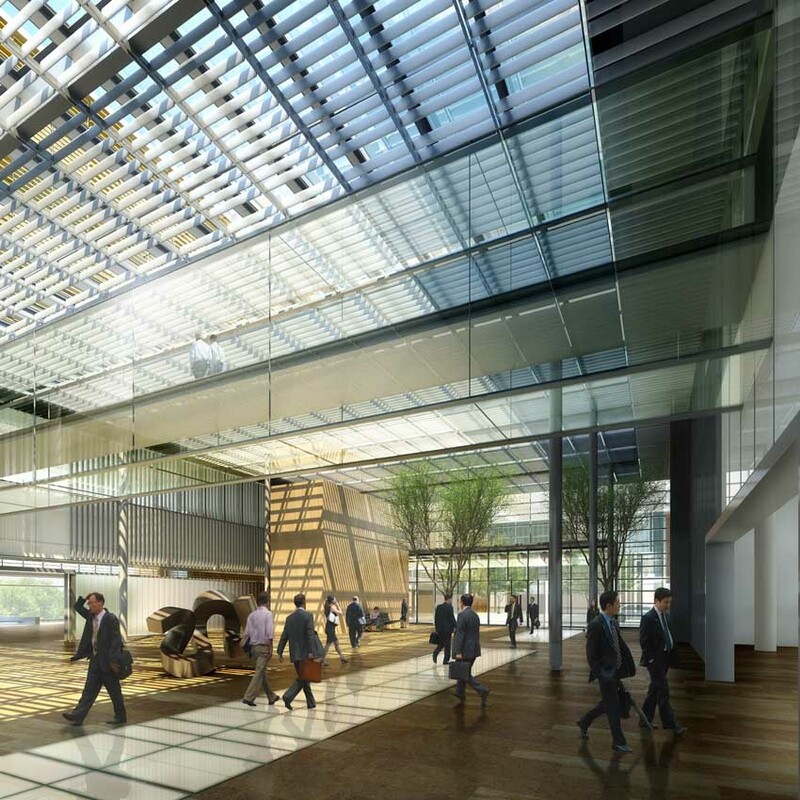 They also wanted to celebrate and inspire the tenants that may occupy this building in the future.